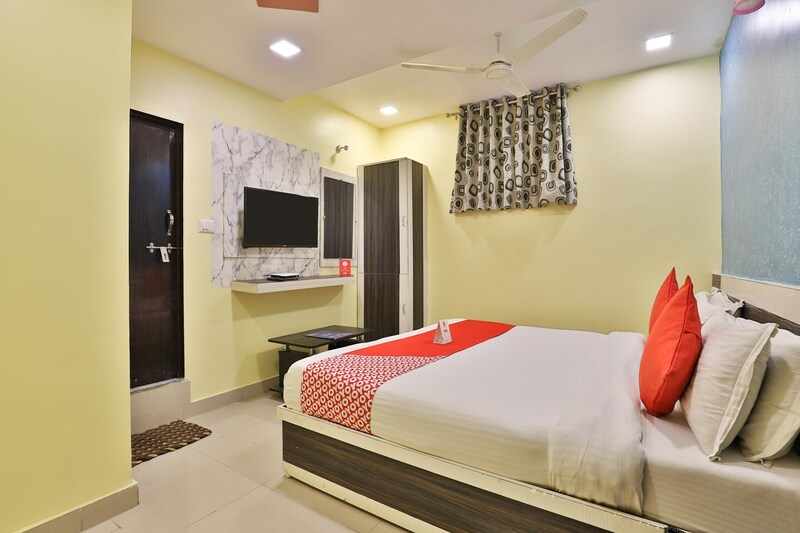 Located close to IIM Ahmedabad, Hotel Green Land offers wonderful stays to all the guests with its lively features and ambience. The rooms are spacious and well-furnished with all the necessary amenities that are bound to make your stay comfortable. The bright textured walls and bright curtains makes the rooms look beautiful and attractive. The rooms are absolutely clean and well-lit with modern LED lights. The bathrooms are neat and clean and are furnished with modern fittings and a geyser for chilly weather. Guests can park their vehicles safely at the parking area. Elevator and CCTV cameras have also been installed at the hotel for the convenience of the guests. Laundry services can also be availed by the guests.